Attention to Detail is a feature highlighting overlooked (at least by me) details from some favorite picture books. 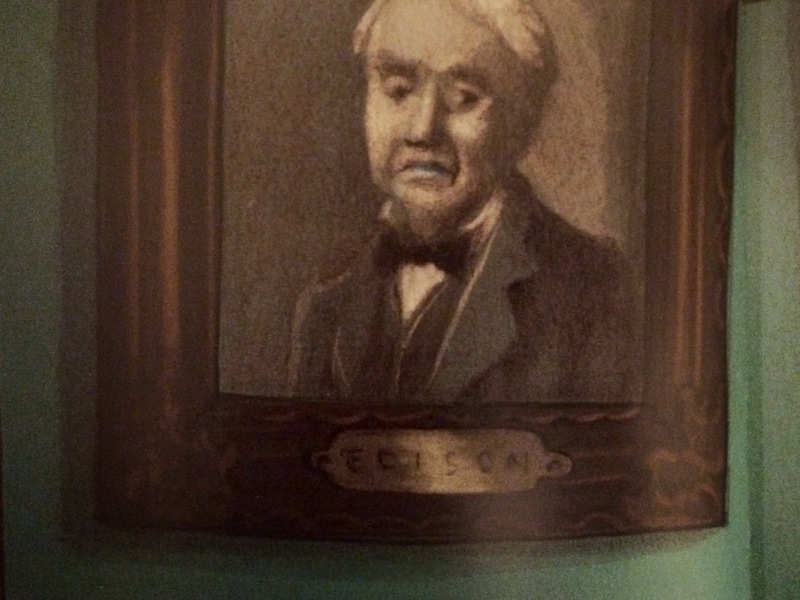 Do you know which Caldecott Honor book features this somber portrait of Thomas Edison? Do you know? If not, can you guess? 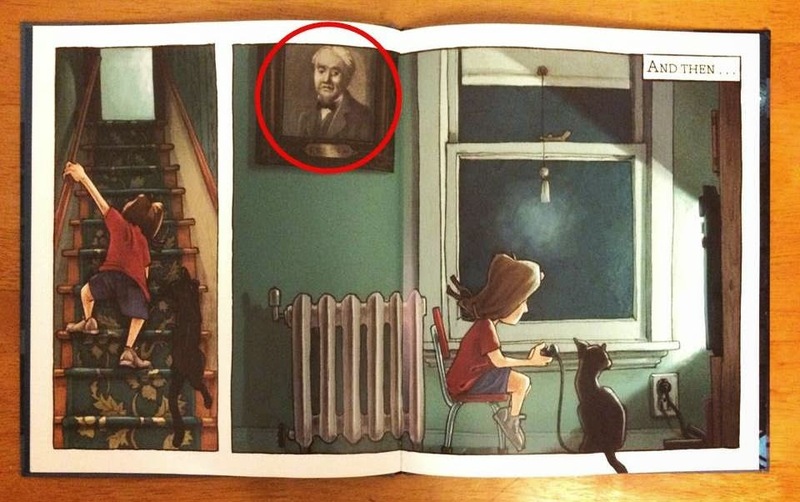 In a clever detail, right before the lights go out, Rocco sneaks in a portrait of the man widely credited as the inventor of the light bulb (though apparently he actually just drastically improved the design). Maybe that's why he looks a little melancholy, the centuries of guilt over getting credit for someone else's invention are taking their toll. Or maybe he's looking worried about the coming blackout because he was afraid of the dark. Whatever the reason, well played John Rocco. Well played.